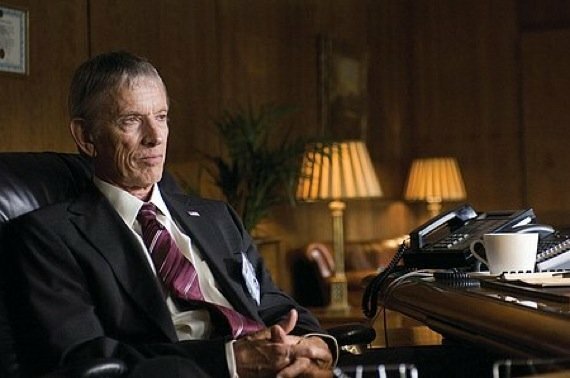 Scott Glenn, who played the CIA director Ezra Kramer in the Bourne trilogy starring Matt Damon, will reprise his role in Tony Gilroy‘s upcoming reboot of the franchise, The Bourne Legacy. When Universal gave Gilroy, who is writing and directing the film, the assignment to make a new Bourne movie that establishes a parallel to Damon’s series, he decided to bring Glenn back. /Film is reporting that in an effort to expand upon some of the background elements that were established in the three Damon-led Bourne films, Gilroy has also hired Joan Allen and Albert Finney to reprise their roles. Allen will once again play CIA Dep. Dir. Pamela Landy, while Finney will portray Dr. Albert Hirsch for the second time. The Bourne Legacy won’t feature Damon’s title character as Jeremy Renner is stepping in. His character will be a fellow alumnus of the Treadstone program. Starring alongside Glenn, Allen, Finney and Renner are Rachel Weisz and Edward Norton, who has signed on to appear as the villain in the film, which is set for release on August 3, 2012. The news of Glenn’s casting in The Bourne Legacy comes after he was also chosen to appear in Lee Daniels‘ adaptation of The Paperboy. Glenn will portray newspaper chief W.W. James in that film, which follows a reporter, played by Matthew McConaughey, who returns to his Florida hometown. McConaughey’s character is investigating a case involving a death row inmate, portrayed by John Cusack. Damon’s Bourne trilogy was deservingly met with critical and commercial success, as the films incorporated subtle, realistic action into their well-written plot-lines. Hopefully with Glenn, Allen and Finney back reprising their roles in The Bourne Legacy, Gilroy, who co-wrote the previous three films, can once again find success with the series.